The objective of the CDIP water level forecasts is to estimate the vertical elevation to be reached a given coastal location, using a simple, computationally fast model that requires little information beyond wave conditions. For more information please refer to the CDIP water level forecast documentation. 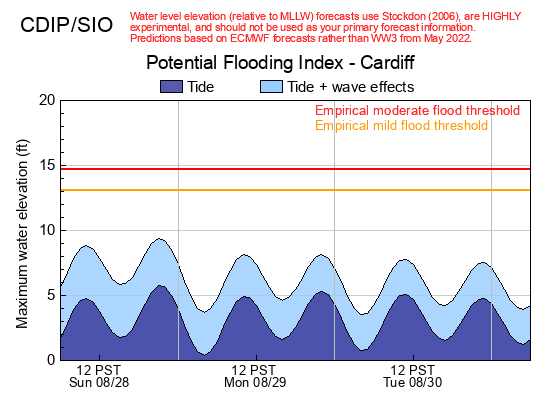 For this location, view a comparison of water level predictions using observed wave data versus modeled (WaveWatch III) wave data.